While at dinner last night I received an e-mail from a woman in Oklahoma inquiring about our “8-Hour MBA” course series. How did she find us, you ask? Yep, that Inc., which for more than 30 years has been the premier publisher for entrepreneurs and business owners. The magazine featured us and our course in an article published on Dec. 12. How cool is that? Business Learning Institute thought leaders Jennifer Elder and Peter Margaritis co-created “The 8-Hour MBA,” a modular and customizable course in which participants gain a high-level but thorough understanding of the key elements and components of a traditional MBA. Laura Montini of Inc. saw the course advertised in San Francisco as part of the Competitive Edge, a partnership between the Business Learning Institute and Sage North America. Interested to learn more, Laura contacted Peter and set up an interview. In her article, Laura touched on some of the modules of the customizable course — Communication, Code of Conduct,and Productivity. But the course is so much more. 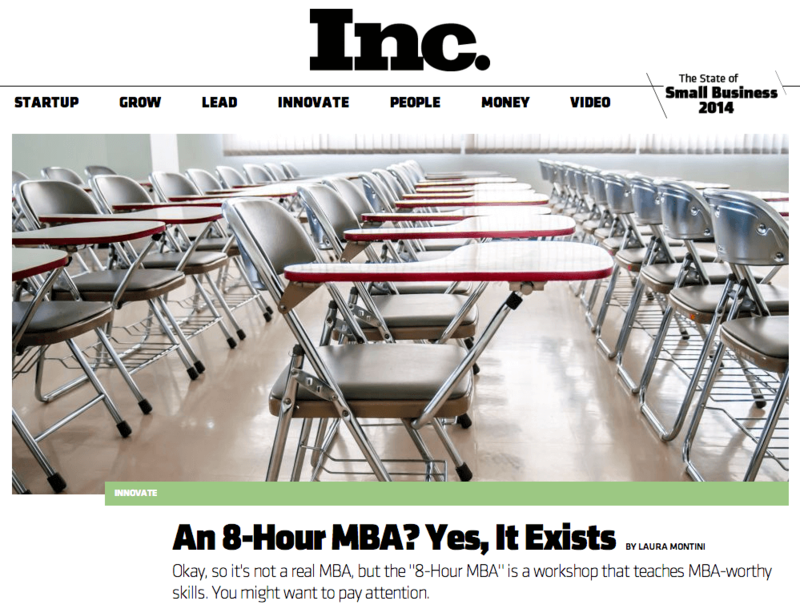 Read the Inc. article here, then learn more about “The 8-Hour MBA” and how you can bring it to your organization by visiting BLIonline.org.